There are three proprietary, custom built indicators that are used in this system. the third indicator is known as the Histodot Indicator. Let’s take a closer look at each of these indicators. As you can see on the image below, the TSI is fairly easy to read. It’s an indicator that shows the strength of the trend. If Bullish (blue) is over 50, it means the uptrend is stronger than downtrend. The higher the number, the stronger the trend. If Bearish (red) is over 50, it means the downtrend in stronger than uptrend. The TSI indicator will ultimately determine the direction in which we trade. If it’s showing the Bullish trend, we will be looking to enter the market with Buy trades. On the other hand, if it’s showing Bearish trend, we will be looking to enter the market with Sell trades. 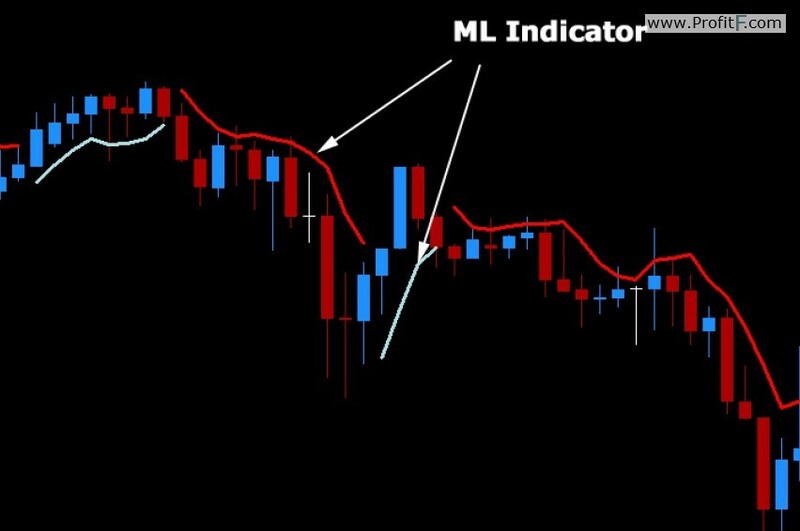 The second indicator we will be using is the ML Indicator. This indicator is on the chart and will display a blue line below the candles for the uptrend and red line above the candles for the downtrend. 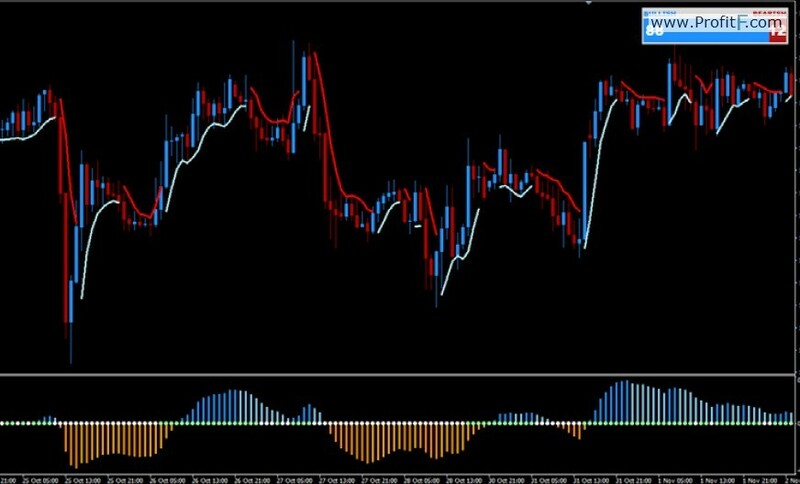 This indicator is a trend based indicator, which has the ability to determine and predict the trend movements with very high accuracy. The third indicator we will be using in the FX Profit Wave system is called the Histodot Indicator. 1. TSI must have Bullish signal above 50. 2. ML Indicator must be blue and below the candles. 3. Histodot must be blue and above the Zero Level. 4. Histodot must have a green dot drawn. 6. Set your Stop Loss a few pips below the most recent Swing Low. Loss or greater. I recommend a minimum of 1:2 Risk/Reward Ratio or greater. 1. TSI must have Bearish signal above 50. 2. ML must be red and above the candles. 3. Histodot must be orange and below the Zero Level. 4. Histodot must have a white dot drawn. What time frame and currency pair is best for this strategy. Does it work with Metatrader 5?